Using Shopify as a platform for your ecommerce store has a lot of benefits. One of them is an app store that offers everything under the sun. However, starting out, it can be a little daunting to wade through all of the options. We’ve gone ahead and pulled out the 15 must-have Shopify apps we believe will help your online store grow. Did you know that 35% of online purchases start with a Google search? If your store isn’t optimized for search engines, you might be losing a great deal of traffic to your website. SEO can get tricky, especially if you’re new to it. To take some of the weight off your shoulders, make use of the available tools to automate the major search optimization tasks. Remember that all the small things you do add up to one, big result – your search engine presence. What does this app do? Plug in SEO checks your online store for on-page SEO problems. The app checks page titles, headings, meta descriptions, site speed, blog post structure, content freshness, and other elements that may be affecting your website’s performance on search engines. Price: Free. Upgraded plans from $20/month. 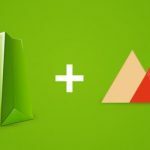 Email marketing is still going strong and unless we stop using emails altogether, it’s unlikely to change anytime soon. So it’s definitely not something you’ll want to overlook in your marketing efforts either. Growing your email marketing list takes time, but there are plenty of automation tools to make it easier for you. What does this app do? Sumo provides an entire suite of tools that help you capture emails and build up your email list fast. From pop-ups to scroll boxes, and smart bars to welcome mats, Sumo has it all. It integrates with most email service providers, so it’s very likely yours will be included in the list too. Price: Free. Upgraded plans from $24/month. P.S. We have an entire blog post in which we share email sign up form hacks that can help you double your subscriber list. Once you’ve converted your visitors into subscribers, it’s time to transform them into loyal customers. There are loads of email service providers that can help you do that. But if you’re looking for a tool that not only offers a variety of useful features, but is also capable of scaling together with your business, Omnisend is for you. What does this app do? 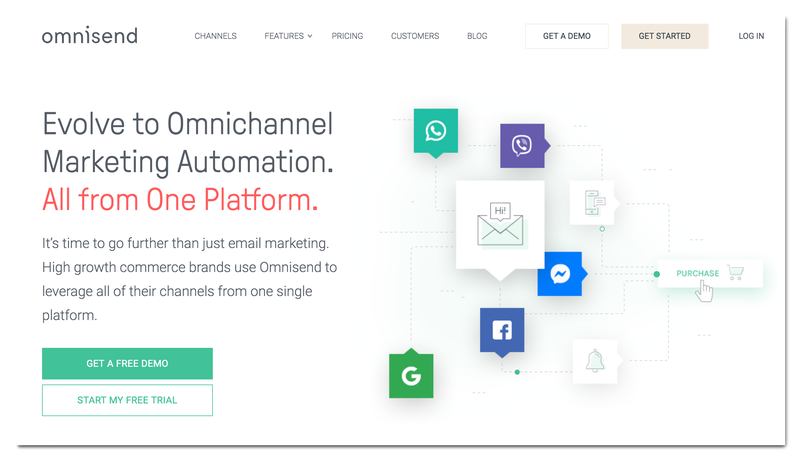 Omnisend lets you create beautiful campaigns, build automation workflows (including several channels other than email too), target your customers with smart segmentation, and much more. Price: Free. Upgraded plans from $16/month. 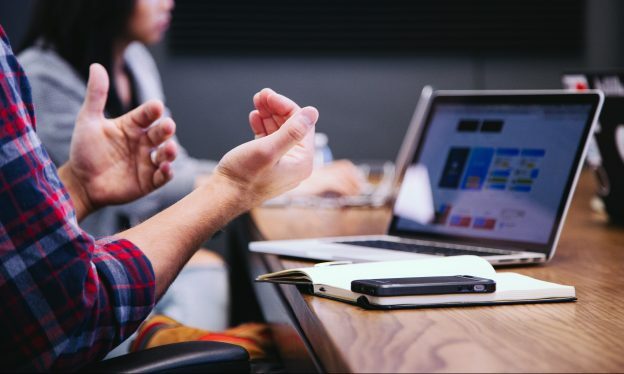 If your email campaigns aren’t performing as well as you’d like them to, and you think you’ve tried every tip out there to make your emails better, it’s time to try a new communication channel. I’m talking about web push notifications. This communication channel lets you reach out to customers in a timely, personalized, and automated way. Besides, web push notifications have higher conversion results in comparison to emails. Price: Free. Upgraded plans from $19/month. A happy customer usually shares his positive experience with 9 other people. The best part, referred customers tend to spend 10-25% more on their first order, they also repeat their purchases more often, and are likely to share their positive shopping experience with friends and family. What does this app do? 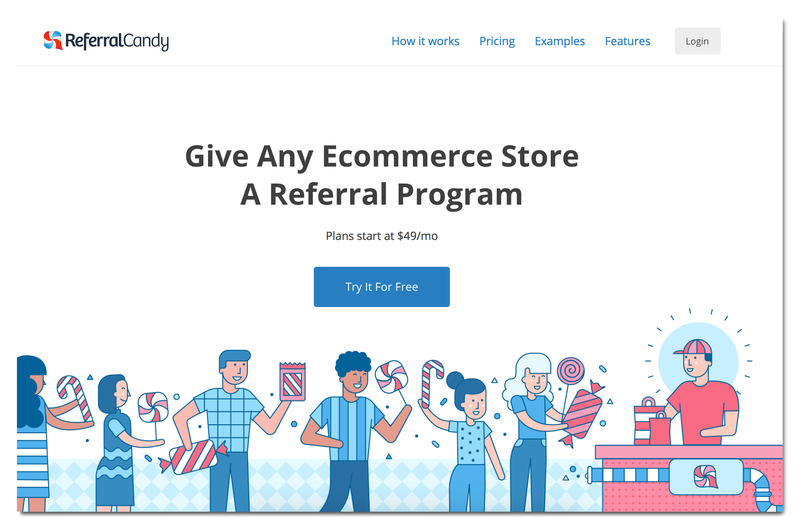 ReferralCandy helps you set up a referral program in just a few minutes. This app automates almost everything, including reward payouts delivery, referral reminders, and post-purchase notifications. Price: Free 30 day trial. Plans from $49/month. Acquiring a new customer is 5 to 25 times more expensive than selling to an existing one. So Instead of concentrating only on landing new customers, start working on customer retention. One of the most popular ways to transform one-time shoppers into loyal customers is setting up and running your own rewards program. What does this app do? Smile.io gives you an opportunity to create and manage reward programs with loyalty points, customer referrals, and VIP tiers. This app integrates with the biggest ecommerce and social platforms, email, and customer relationship management (CRM) service providers. Price: Free. Upgraded plans from $59/month. We, humans, are social creatures driven by herd instinct – if others are doing it, it must be good! Or if no one else is doing it, there must be something wrong. That’s why it’s so important to have social proof that lets interested buyers see reviews/recommendations from others about how awesome your product is. What does this app do? Yotpo aggregates your product reviews, photos, and Q&As, and displays them on your store. Social reviews like this will attract visitors’ attention, build trust, and increase conversions. Price: Free. Request a quote for upgraded plans. Adding new products to your store is both exciting and stressful. You can never know whether the new addition will be as successful as you think. Before introducing a new product to the permanent collection, create buzz around it by launching a pre-order campaign. This will give you a better idea whether the new product is in demand and what number of sales you can expect. With Printful, if a product doesn’t sell well, you don’t lose anything since we fulfill your order on-demand. What does this app do? Pre-Order Manager can replace your regular “Add to Cart” (or “Out of Stock”) button with “Pre-Order,” which lets you sell products even when they’re not quite on your store yet. You can turn on/off and schedule pre-orders for certain products or for the whole store. The list of all pre-orders will show up in the admin panel, so you can easily handle them as you see fit. Price: Free 1-day trial. Upgraded plan from $24.95/month. Getting visitors to your website requires a lot of hard work. Unfortunately, in many cases, that hard work goes to waste because most visitors – at least 98% – leave the website without buying a product or subscribing to your mailing list. In fact, most of them never return. What does this app do? OptiMonk is an on-site message toolkit that captures the attention of a leaving visitor by displaying a pop-up. Depending on your strategy, you can showcase a special deal or lead magnet to keep the users on your site or encourage them to sign up for your newsletter. Price: Free 14 day trial. Upgraded plans from $29/month. Did you know that 96% of visitors that come to your website aren’t ready to buy? Let’s be honest – we all window shop, especially online. So instead of urging your visitors to take the plunge and hit that “Add to Cart” button, let them save their dream products for later. What does this app do? Wishlist Plus increases the chances of window shoppers converting into actual shoppers by letting them favorite or save the items they like. The app remembers them for a later time when the visitor is ready to buy. Price: Free 14 day trial. Upgraded plans start from $9.99/month. Your customers will always have questions. Some of these questions will be recurring. To save yourself some precious time, you should address the most popular customer concerns in an FAQ page on your website. What does this app do? HelpCenter lets you create a searchable, branded, and easy-to-navigate FAQ page on your website. To start an ecommerce business you need two things: an internet connection and a good idea that you believe in. You can sell something you made yourself. But if you want to simplify shop operations, you should import products from suppliers, just keep in mind there might be several other shops offering the same products as you. There’s one more option – you can create unique designs and have them printed on-demand on print products. If you’re interested in the latter, then you might want to give print-on-demand a go. What does this app do? Printful gives you an opportunity to sell your unique designs on a variety of printed products. Most importantly, it will print and ship every order that comes into your store, completely automatically. If you source products from a supplier, you can store them at Printful’s warehouse, and leave fulfillment of all your orders entirely to us. Price: Free to install – only pay when an order comes in. Selling online has its perks, but it isn’t entirely perfect. One of the biggest problems shoppers can face is uncertainty about a product’s quality. It can be hard to tell what a product’s fabric texture might feel like or whether the sizing is accurate. That’s why online shoppers are so curious to see how your products look in real life: unedited, true-to-size, and on different people. What does this app do? Socialphotos gathers your customers’ product photos from popular social networks using a website widget or hashtags. You get to decide which of these photos make it to your website. 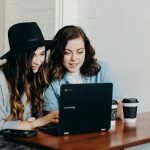 Sharing user-generated photos on your website give you an opportunity not only gain more social proof, but also build a stronger connection with your audience as they get to be part of your brand’s success. Price: Free 30 day trial. Upgraded plans from $10/month. Managing social media accounts is not as difficult as it is time-consuming. You have to always be online if you want to effectively respond to every little change that might affect your account’s performance. Most online stores would benefit from an extra pair of hands to overlook their Facebook and Instagram ads and posts. Lucky for you, there’s a way you can automate this process without having to hire anyone. What does this app do? Kit helps you create Facebook and Instagram ads and social posts to increase traffic (and hopefully conversions) to your site. Working with Kit is like talking to a friend – the app communicates with you via Facebook Messenger or SMS, reminding you about ad/repromo opportunities and setting them up for you. If you look at successful ecommerce websites, you’ll notice almost all of them have an Instagram feed that displays a number of their latest posts. Showcasing your Instafeed expands the reach of your social updates and boosts product visibility. It can also increase your sales. What does this app do? Snapppt lets you share product images on your storefront in a gallery and add links to the products pictured there. When buyers browse the pictures and see something they like, they can simply click on the link, and a pop-up with the featured products appears. The Shopify app store can be your best business partner if you know which apps are worth your time and money. Hopefully, this list has helped you find something you hadn’t heard of before. And if it has inspired you to start using Shopify, sign up for a 14-day trial run. Did we miss any great apps? Let us know in the comments! I actually don’t have experience with either! But maybe somebody else can chime in. Its a great list of apps for Shopify stores. I just wanted to add one more tool which is very important for the stores to increase sales and improve customer engagement. And its real-time analytics tool. 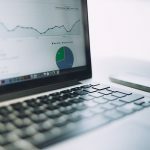 Although Shopify analytics is really good in reporting for your store but one thing it lacks on is real-time data analytics. I know they are providing live view data now but there are certain issues of granularity. And all the reports of Shopify analytics are not available to all stores. You need to take a higher plan in order to use all the reports. This is quite costly for small and medium businesses. We at IQLECT is launching an advanced e-commerce analytics tool which will work in real-time. It will have predictive analytics features inbuilt AI and ML capability.